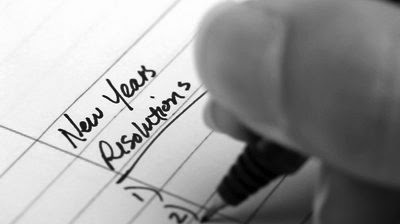 This is the time of year when most people realize their New Years Resolutions may not work out and even if they started out great. For many of us, after the first week it becomes apparent that our New Years Resolutions were a bit optimistic. We all know the Resolutions that we have had that we could never quite get going, loosing weight, exercising, new job or house, all sorts of lofty goals that in the end, when they are not realized, we feel we have failed. Fret not, there is a News Years Resolution that is easily achievable and will make your life better. Resolving to dress better, look your sharpest and finally have "your style" can be achieved and maintained far easier than other life changes. There are a few key elements that are essential to achieving the goal of becoming really well dressed and stylish. We are calling it the three R's to a better dressed man, Remove, Replace, Risk. Remove - Get rid of all those clothes, shoes and accessories that are old, worn out, and anything you never wear. A great trick to figure out what in your closet need to go is to turn all the hangers around backwards. Then, every time you wear something put it back in the closet with the hanger turned forward again. In just a few weeks anything that still has the hanger backwards you can let go of because you do not wear it anyway. This method does exclude items with sentimental value, "special event" clothing and "rag" clothing for cleaning, painting, and gardening, keep those. Replace - Now you have all sorts of room in your closet and need to go shopping. Spend your money wisely. Try to avoid the temptation to buy whatever is available or on sale. It is far better to decide what you are looking for and seek it out than to choose from what is easily available. Have a general idea of your budget and allow yourself to spend a bit more on a few great items instead of lots of bargain items of questionable quality that are just ok. Of course we want you to buy everything from Justin Harvey and we only carry superior quality unique items with great style, but find what works for you, your lifestyle, and your budget. Risk - Take some risks with the clothing you choose. You just cleaned out your old clothes, don't refill you closet with items that are just newer versions of what you just got rid of. Look around at men who you think dress well and notice what it is specifically that make them look good and decide if that look right for you. 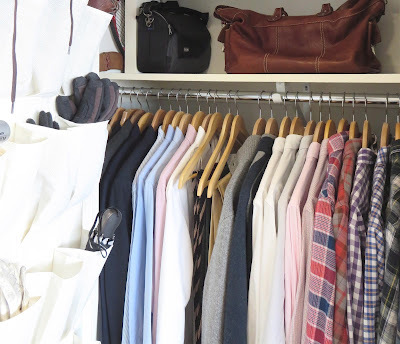 If you really do not know where to start, your local Men's Store is a fantastic resource, they are expert in guiding men to make fashion choices that will work for their size, shape and personality. Take risks in the colors, styles and price. Spend more on quality and less on trendy styles because trends come and go but quality lasts. People admire risk takers. Upgrading your wardrobe can have a ripple effect in your life. When you feel good about how you look you are more confident, relaxed and achieving a New Years Resolution will also make you feel even more confident.